This backpack is ideal for those players who do not carry as much stuff with them or who just want a small light bag for training. The bag has a cushioned pocket at the back to keep rackets safe. There is a pocket underneath for shoes to keep the shoes seperate from other items allowing the shoes to cool before you next play. Sorry, the Yonex Pro Backpack Blue is now out of stock. 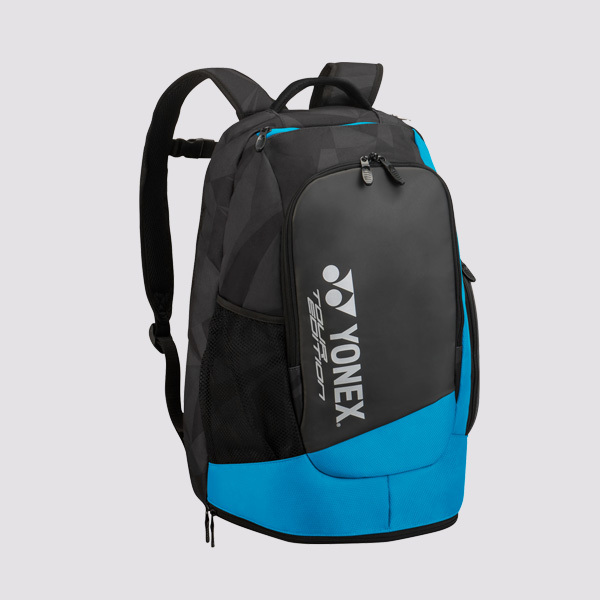 Do you own the Yonex Pro Backpack Blue?